The first thing that sticks out about Kareem is his accent. When meeting the 20-year old at CRP, one is immediately struck by his good English. Where did the Iraqi, who arrived in Jordan three years ago, get his American accent from? The answer tells a lot about daily lives of young Iraqi refugees in Jordan. After moving to Hashemi Shamali with his family, Kareem spent most of his time at home, not trusting his new environment. 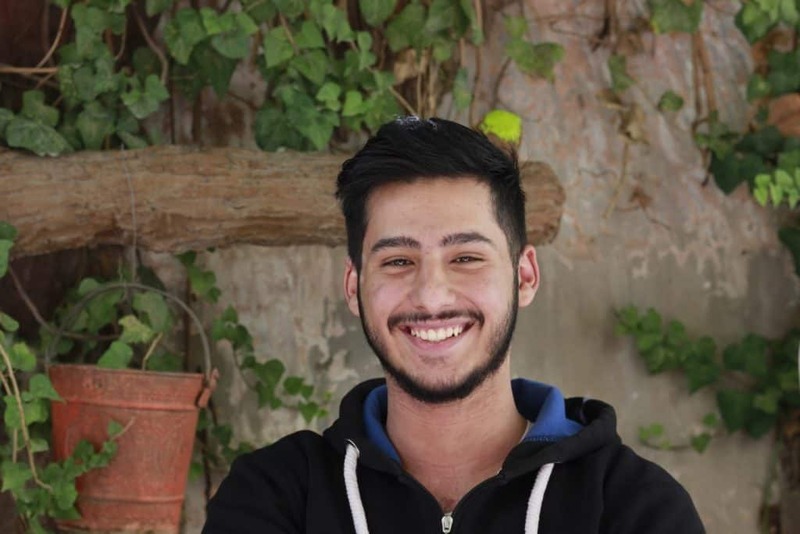 Belonging to a group that faces a lot of discrimination due to sectarian tensions in his hometown of Baghdad, Kareem was used to being cautious. Moving freely in the streets or going out in the night was impossible. One of Kareem’s major hobbies is online gaming, especially the ones he can play on his PlayStation. Most of these games are interactive, allowing calls with fellow players all over the world. This is how Kareem got into contact with a lot of American gamers. First he was shy when talking to them. He says, “I tried to make a lot of jokes so that they enjoy talking to me.” Soon their interactions became more regular, and they shared a lot of laughter. Up to six hours a day Kareem recalls playing video games. While these activities helped him develop his language skills, they also kept him physically isolated in his room, not exploring his new surrounding. Kareem joined CRP’s the English lessons and is now attending the Advanced English literature classes twice per week. Six months ago, he also started volunteering at the center, teaching basic computer classes and helping out at Cappoeira. He still has trouble trusting foreigners, he says, stemming from his year-long experience of discrimination back in Iraq. At CRP he made new friends, among them a lot of volunteers from Western countries. It makes him sad that all of them leave after a couple of months, and he hopes to be able to visit them in the future. “All the Iraqi refugees here want to leave Jordan, no one wants to stay here,” he states. Without the permission to work legally, his family struggles to make ends meet. “Our life is on pause here,” Kareem says. Still, he describes himself as optimistic: “I smile a lot because I know that this will not be forever.” He hopes to be resettled and able to go to college on day. “This is my dream,” as he says. So long, Kareem develops his many hobbies — speaking English and playing music. He is part of a band, and recently bought a violin. “I am still an absolute beginner, but I really like it,” he laughs. And what about the gaming? Now, he only plays two or three times a week, much like his American gaming friends, who are also busy going to work or college. Kareem enjoys many programs and just hanging out at CRP. Donate today to help keep our Family Resource and Community Center running.